Michigan metal gods The Black Dahlia Murder have unveiled plans to embark on a short tour in Septemeber with support from Lorna Shore. 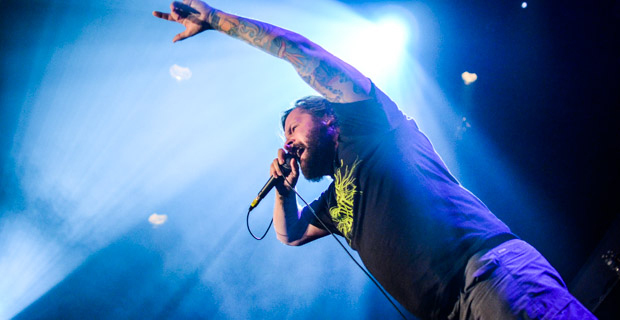 Dubbed the Into The Everblack – Midwest 2014 tour, the latest outing from The Black Dahlia Murder finds the iconic group touching down in five US cities between September 16 and September 20, 2014. The cities involved include Grand Rapids, Iowa City, St. Louis, Champaign, and Indianapolis. You can view the full itinerary at the end of this post. The Black Dahlia Murder will follow this short run with the launch of a longer and far more extensive North American Tour, which is currently scheduled to be announced sometime next week. Follow UTG on Twitter for updates.